Salisbury Steak is one of those comfort foods that goes wayyyyy back to when you ate "TV Dinners" out of little aluminum trays and watched Andy Griffith and Happy Days. But we are still eating them, so that tells you something. Sometimes you just want good old "home cooked" comfort foot. This time, I challenged myself to see if I could take this old standby comfort dish and make it a little healthier. 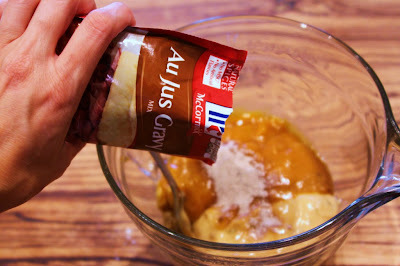 Okay, let's be real - mashed potatoes with a blanket of gravy is not going to be fat free, but work with me on this one. I'm also aware that having "reduced fat" in a label rarely sounds appetizing. But here we go anyway. 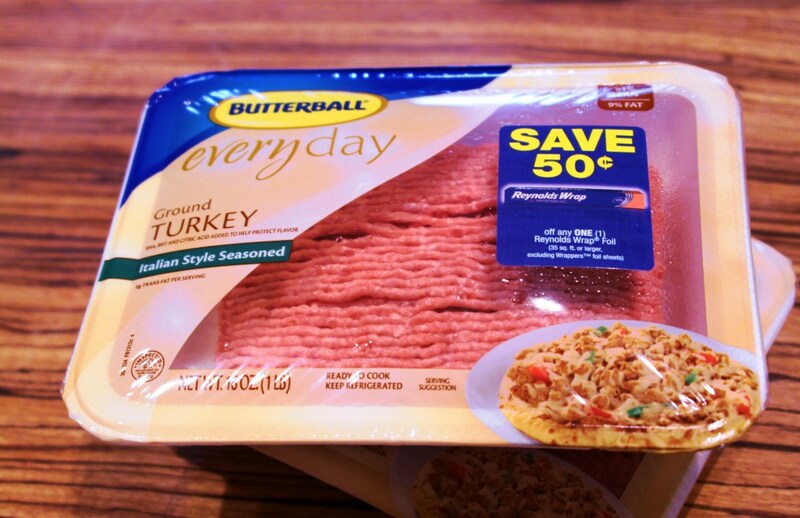 I replaced the ground beef in the recipe with 91% fat free turkey. 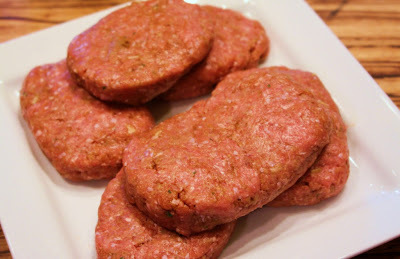 I wanted the beefy taste however, so part of the challenge was to manipulate that flavor profile as well. 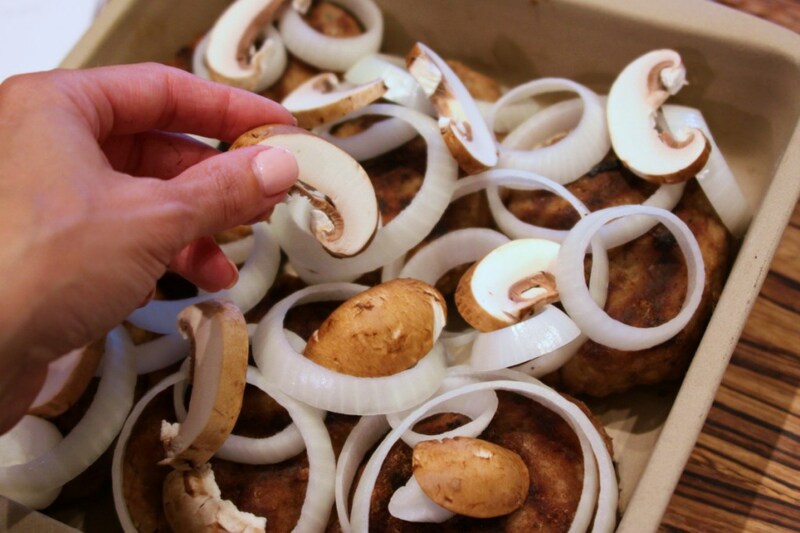 1 pkg Swanson's beef "flavor booster"
baby portobello mushrooms, wiped clean, stalk removed, cut into slices. 2 pounds lean ground turkey. These were marked Italian Style. 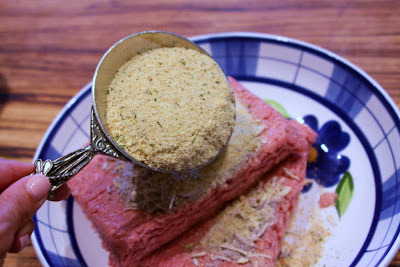 However next time, I may add more Italian flavors - dried oregano and basil to the mix. Beefy onion soup mix. Add from a half to a whole envelope depending on the preferences of your family. A whole envelope was deemed a little "too oniony" by my kids. 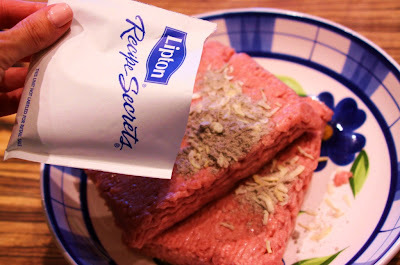 1 packet of Swanson's "beef" flavor booster. 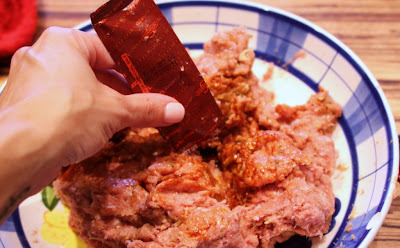 I was trying to make the turkey taste like beef. Divide meat mixture into portions with your hand. Form into patties of uniform thickness. 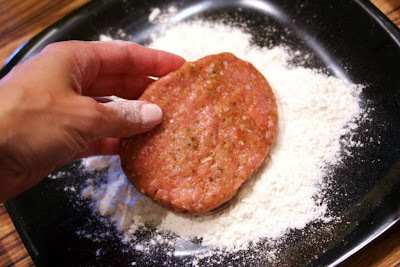 This was how I checked the seasoning of my patties. Just made a tiny one and browned it up in a small skillet - since I obviously didn't want to taste the raw turkey. Here are the formed patties. Pretty, huh? Coat lightly in all purpose flour. Here are the browned patties. 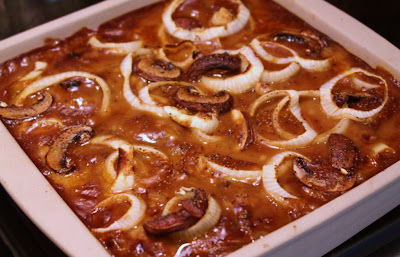 Cover with sliced onions and mushrooms if you'd like. 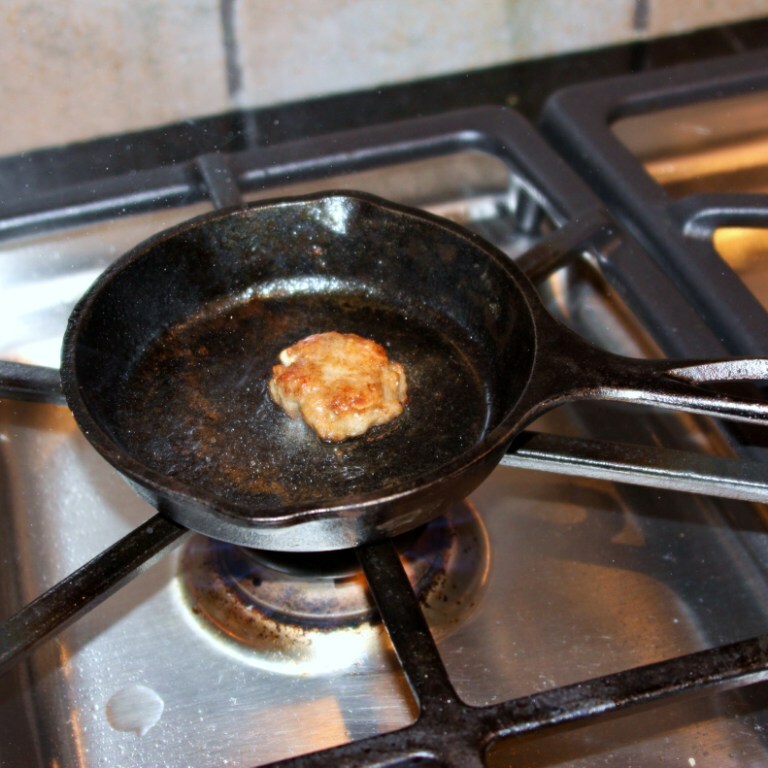 Insert digital thermometer into the center of one of the thickest patties and set thermometer to alert you at 160 degrees F.
Bake uncovered at 350 degrees. Old school comfort food with a turkey twist. You may still prefer the beef to the turkey; but for some of you who are really watching your intake of fat and red meat, its a nice alternative. 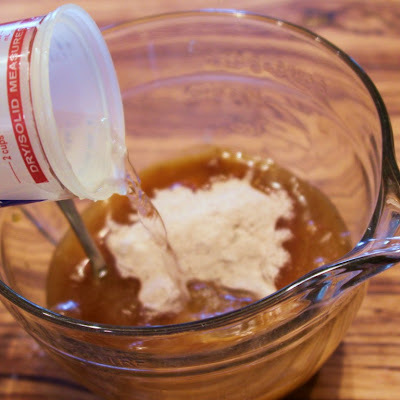 - and of course use some of that gravy over mashed potatoes. Note - These were huge! 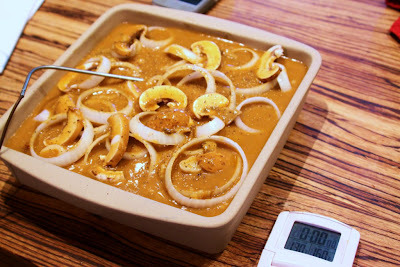 They made pretty servings for the photos, but in reality, you could half each portion. 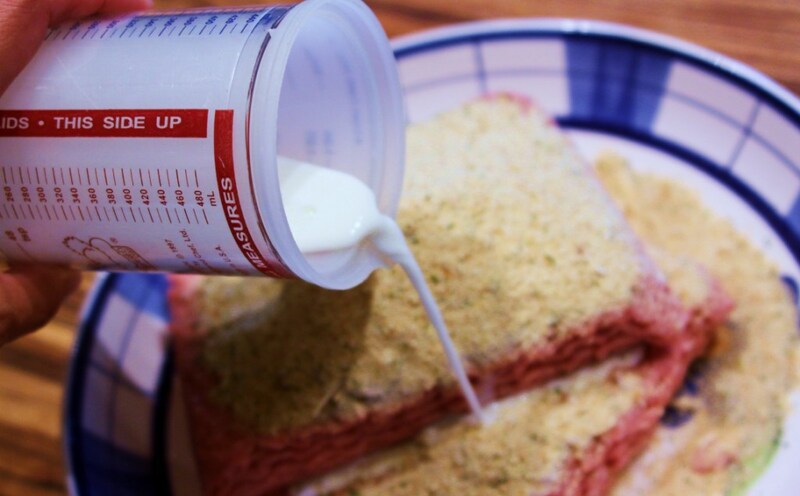 In a mixing bowl, combine the ground turkey with the onion soup mix, bread crumbs, milk, and beef flavor booster. Your hands make the best tool for this, in my opinion. 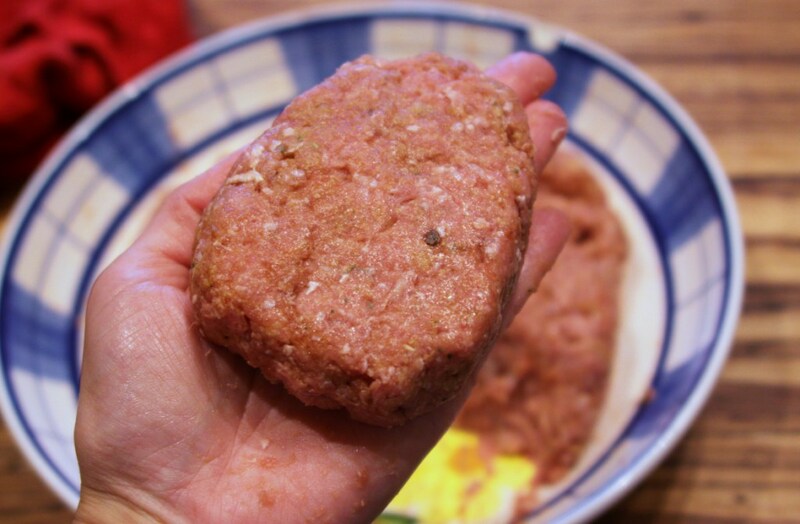 Shape into about 8-10 patties. 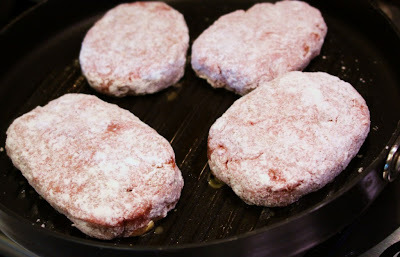 Coat the patties in flour just to coat, and brown the patties on both sides in the hot skillet. 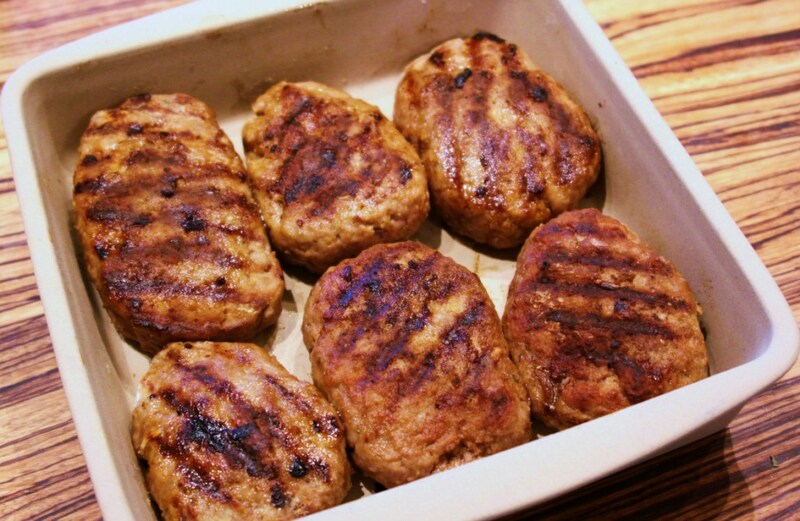 Place your browned patties into a casserole dish. Cover patties with sliced onion rings and mushrooms. 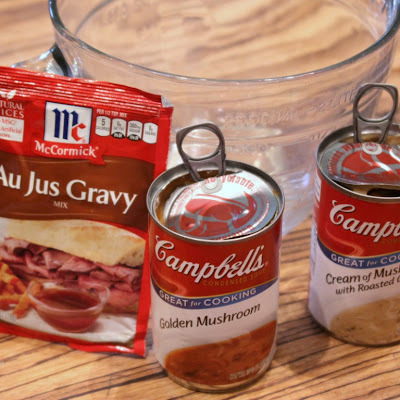 In a separate bowl, mix the cans of soup, au jus mix, and water. Stir until well blended. 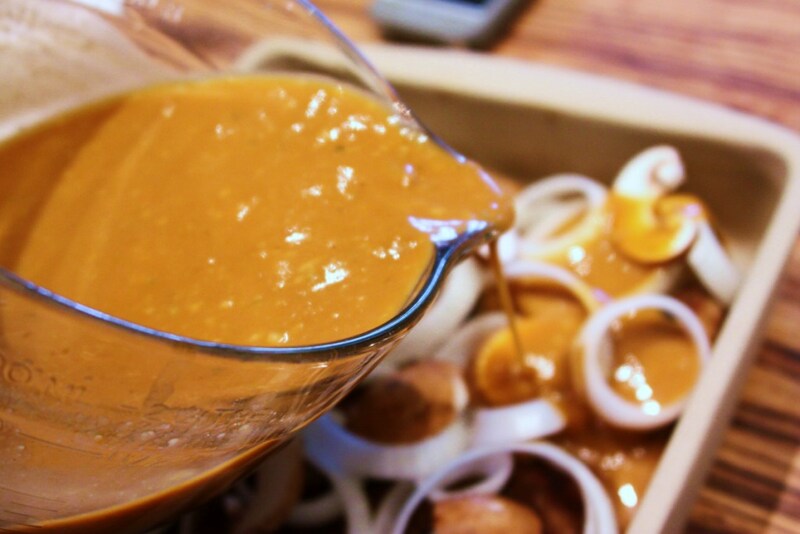 Pour this "gravy" over the patties. Bake uncovered in a 350 F degree oven until the turkey reaches an internal temperature of 160 degrees F. I use an instant read digital thermometer for this so I don't have to guess. The turkey temperature will continue to rise a little after removing it from the oven to reach the requisite 165F. This took around a half hour for me. 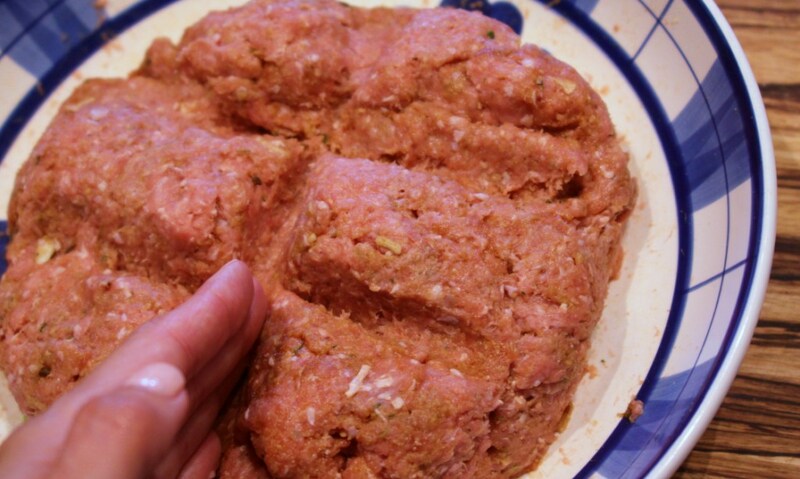 You could also place the browned patties in a slow cooker (stacking alternately like a pyramid). Cook on the Low setting for 4 - 5 hours until turkey is well done. 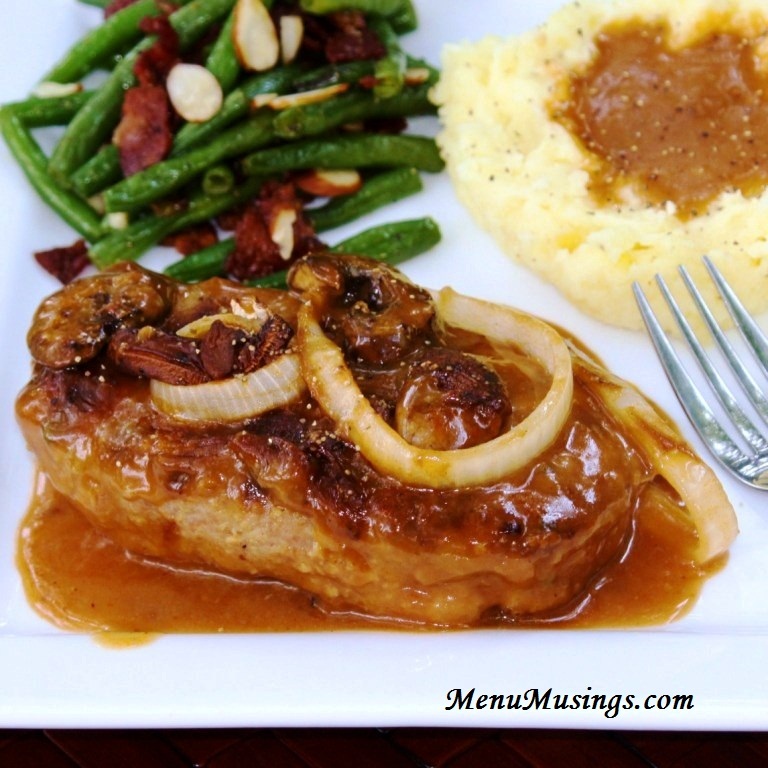 Food Nerd Notes - the history of Salisbury Steak. 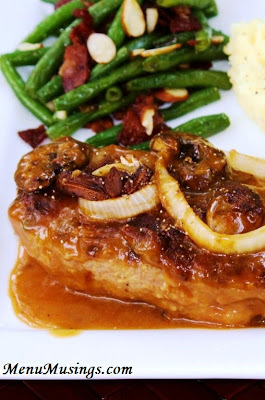 Salisbury steak is a dish traditionally made from a blend of minced beef and other ingredients, which is shaped to resemble a steak, and is usually served with brown gravy. 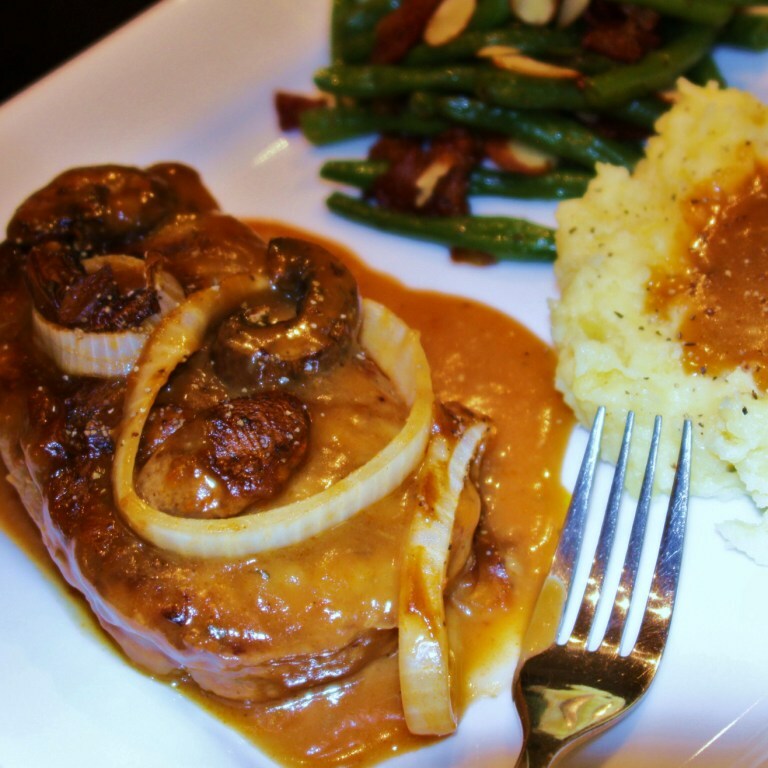 Salisbury steak was invented by an American physician, Dr. JH Salisbury (1823–1905), who was an early proponent of a low-carb diet for weight loss. The term "Salisbury steak" has been in use in the United States since 1897. 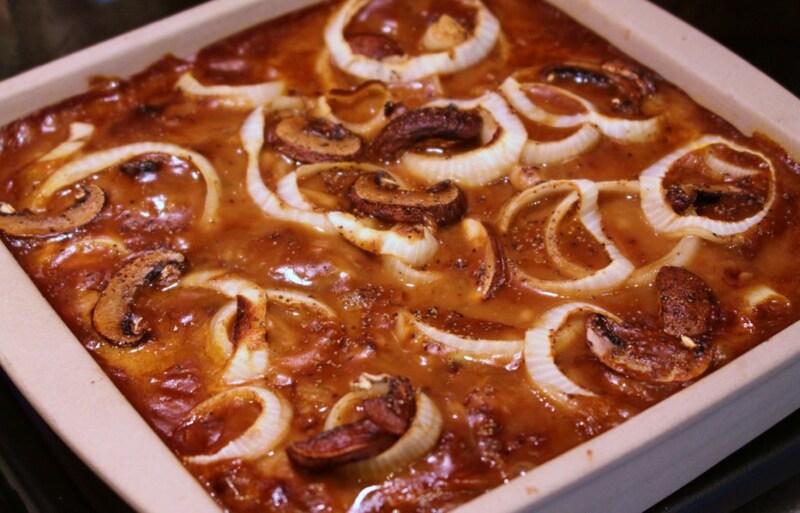 The dish is popular in the United States, where it is traditionally served with gravy and mashed potatoes or noodles. DELICIOUS! It was hands down the best tasting sauce for Salisbury steak and so simple to make. Peanut Butter Cups - just like Reese's!